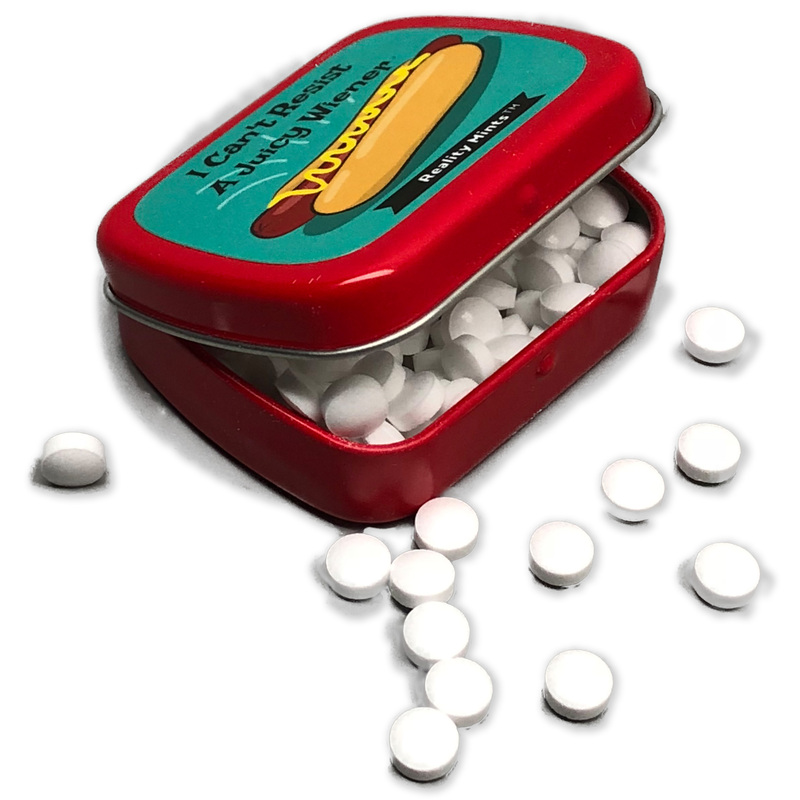 If you can’t pass by a hot dog stand without your mouth watering, heart pounding, and breaking into a fever, you need I Can’t Resist A Juicy Wiener Mints in your life. There’s no shame in embracing your guilty pleasures, especially when that means having an ample supply of wintergreen breath mints for post-wiener indulgences. Just because you enjoyed a wiener, doesn’t mean you have to let the aroma linger on your breath for all to experience. Nobody likes a bragger. 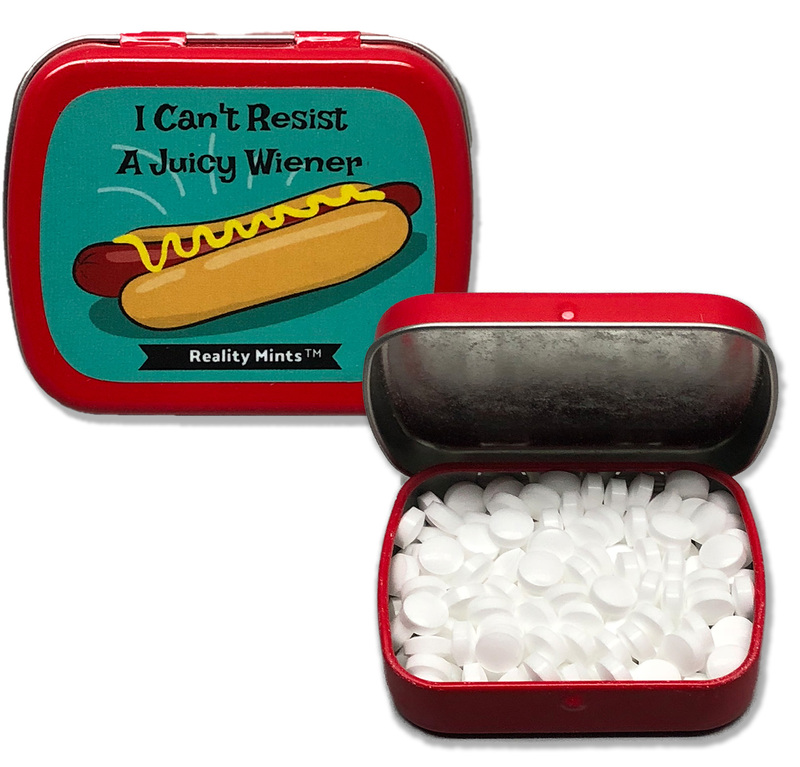 I Can’t Resist A Juicy Wiener Mints are perfect for anyone who has a constant craving for a thick, juicy wiener. 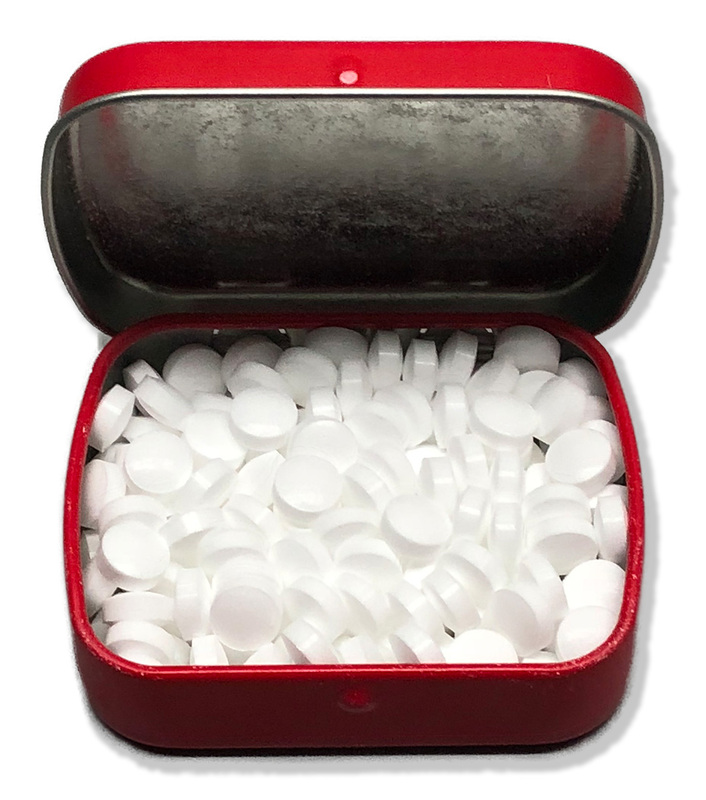 Filled with wintergreen breath mints, this funny, tongue-in-cheek gift for adults is a weird stocking stuffer, unisex white elephant gift, or addition to birthday gift bags, care packages, or Easter baskets for grownups.